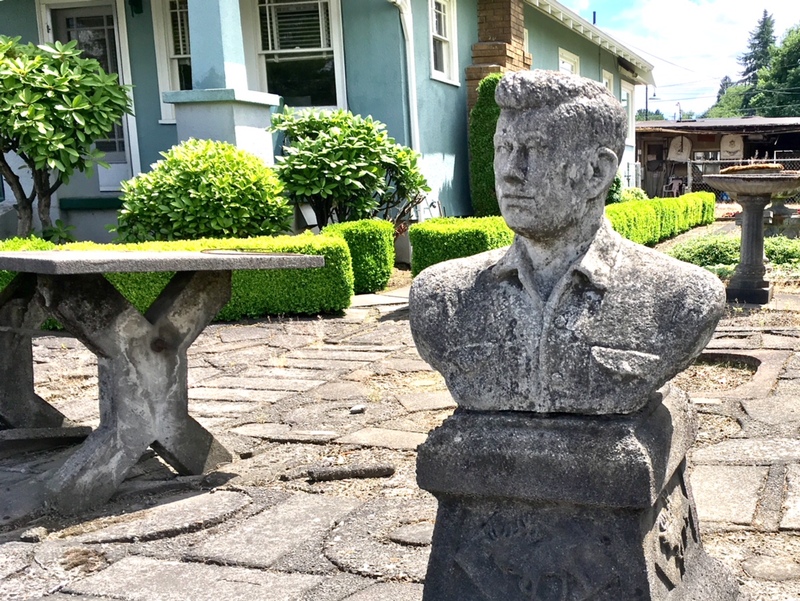 A home on Northeast Columbia Boulevard has kept a concrete monument of the former president of South Vietnam, Ngo Dinh Diem (1901-1963, in office 1955-1963) in it’s front yard overseeing thousands of trucks and trains each day, for the past 20+ years. Diem’s amazing, corrupt, and dynamic career set the stage for the US defeat in Southeast Asia. For some Vietnamese who profited greatly in the early years of the wars may consider Diem to be an modern leader for a tiny weak nation stuck between two superpowers. For the rest of the world he was a petty dictator propped up by the French and the US. 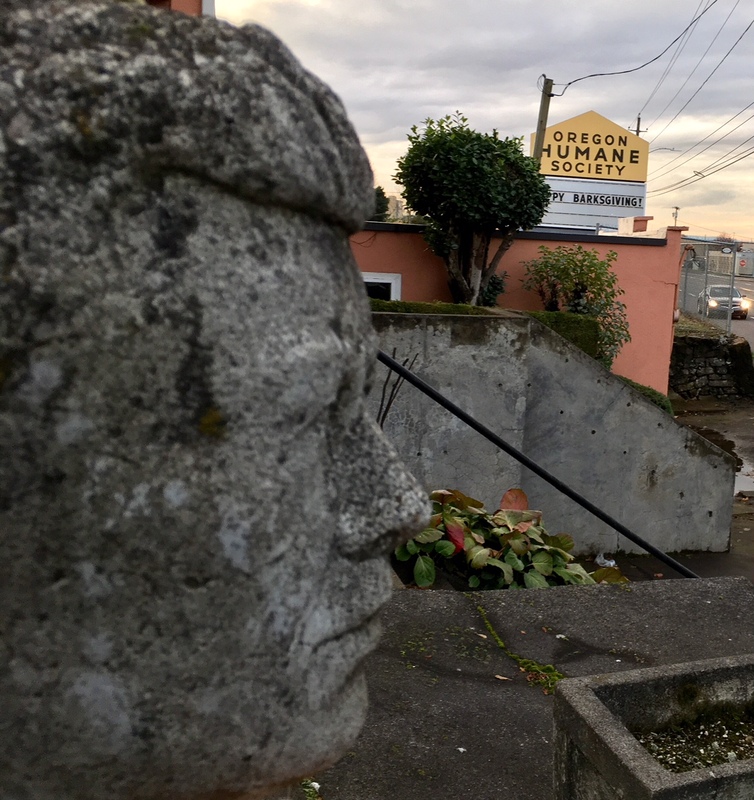 History hasn’t been kind to Diem or his supporters, so it’s interesting to find this sculpture and note it’s duration in one place. The features show a young Diem, heroic and masculine. 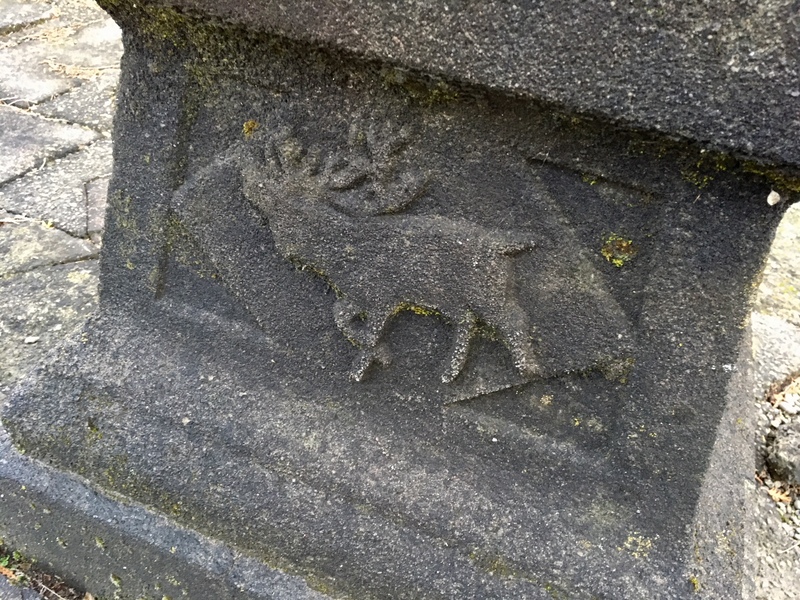 The pedestal has a picture of elks – the sculpture doesn’t fit it correctly. It’s a mash up. Not sure if that helps, or just leads the mind wondering further. 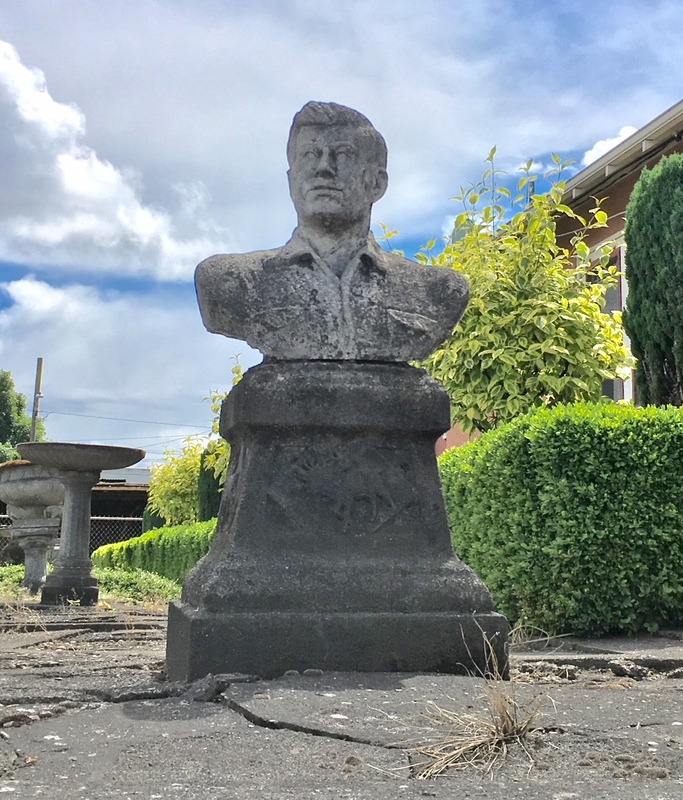 I also think, since the base doesn’t match the bust well, that the base may have been another statue representing David P Thompson who was a Portland Mayor in 1881-1885, and was the President of the Oregon Humane Society. 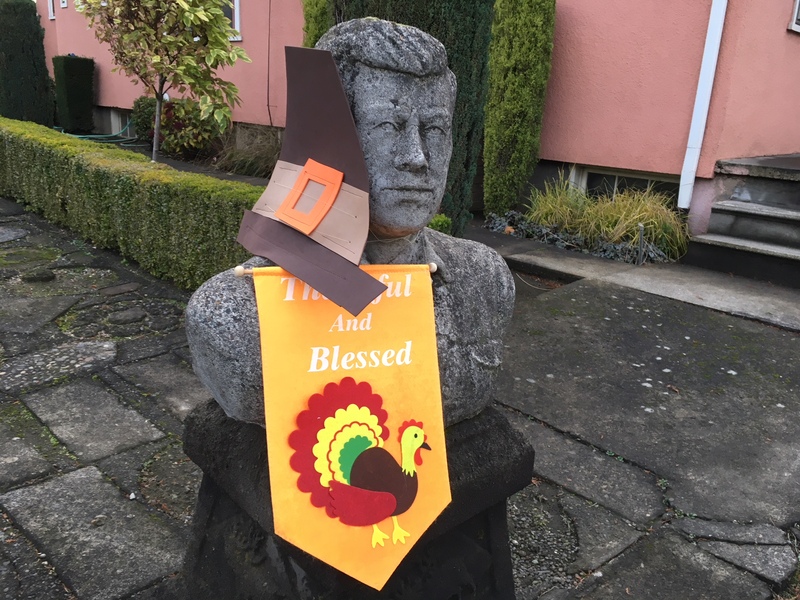 He felt Elks were regal and strong, and had the famous Thompson Elk statue on Southwest Main Street built. 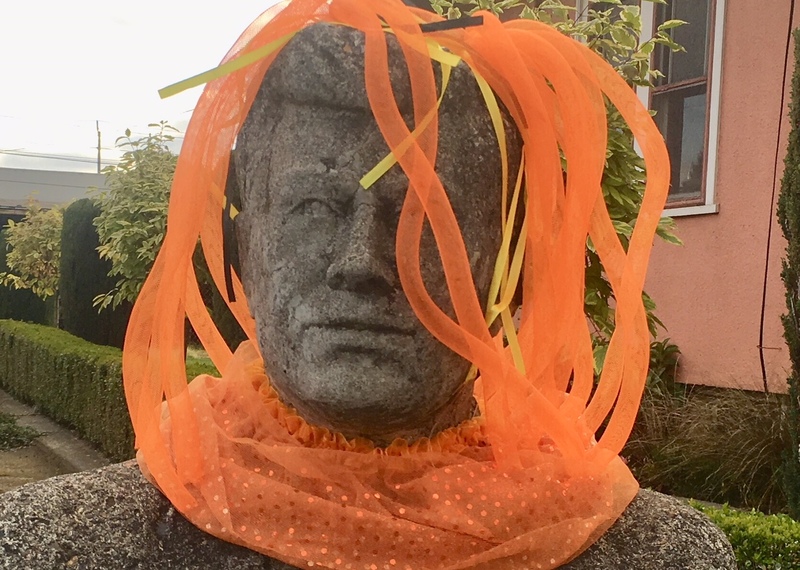 Perhaps the owner that made the bust used a base or something from the humane society to place his work upon??? Quite a fun little mystery there! Amazing! 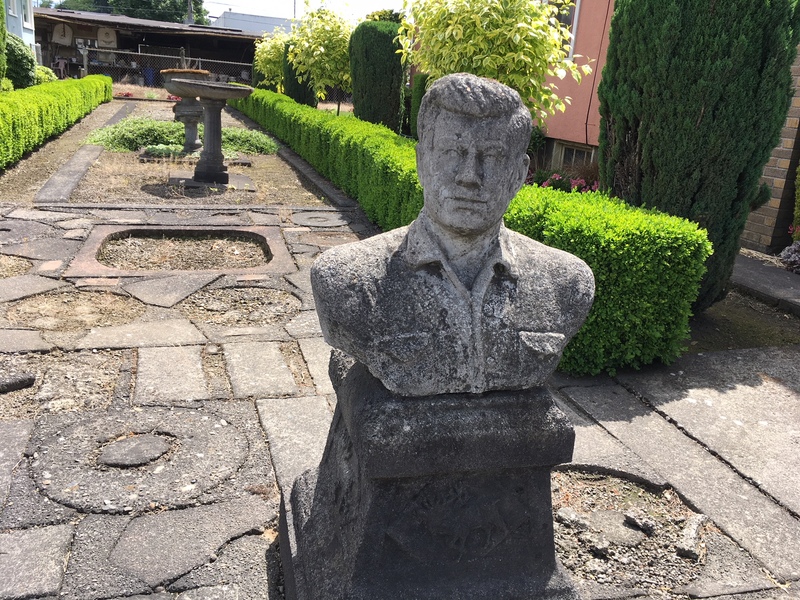 I got a comment on Facebook that mentioned the bust was of a Vietnamese leader but I was lost as to who it could be. That’s an amazing amount of research and much appreciated and yes it helps. I’ll be sure to give you a shout out when I reopen the Kennedy Files. The mystery does now seem to be about how the bust and base got together.